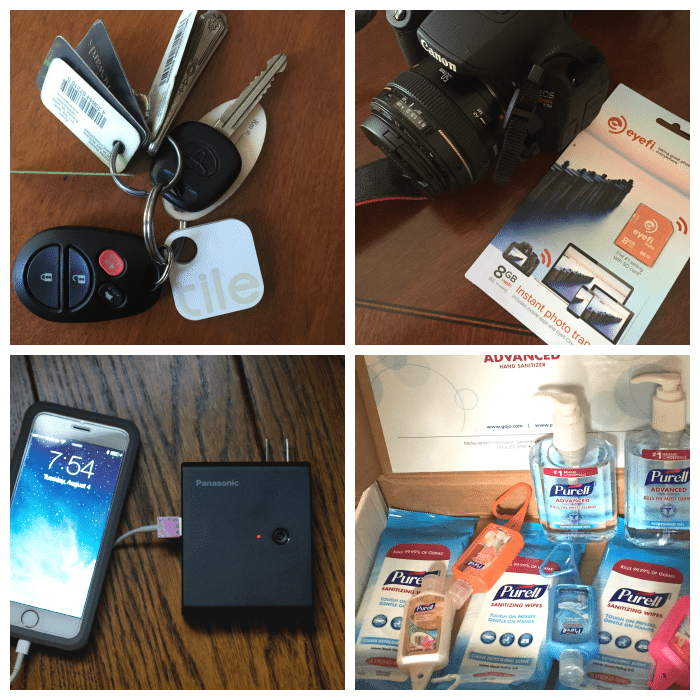 Since we recently took an Alaska Cruise with our immediate family, I wanted to share my tips with you for what to pack for a cruise. While I wish I could tell you exactly what to pack, we found this to be a very challenging trip to truly decide what to pack. It depends on the time of year, weather forecast, which changes daily, and your level of comfort in cold weather. (If you are coming from Miami you will need warmer clothes than Minneapolis). I searched a lot to find a good packing list for our Alaska Cruise with no great direction, so hope this list serves as a good outline of what to pack. 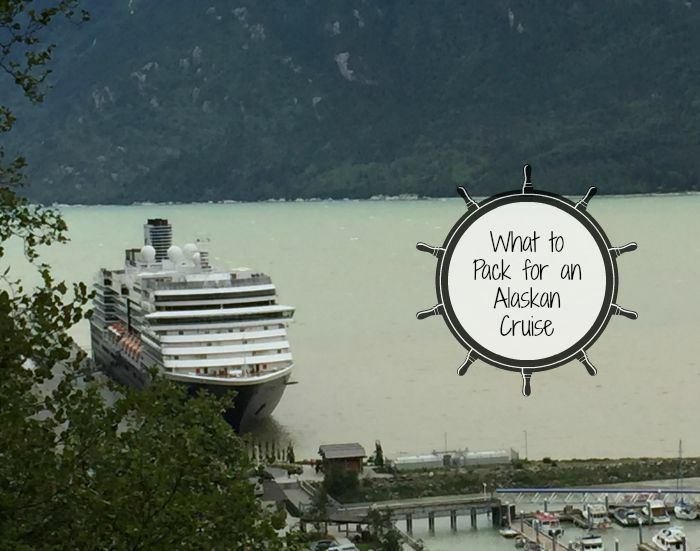 Knowing what to pack for a cruise is always daunting, and especially for an Alaska cruise. This list is very large but includes a lot of great ideas for you to consider depending on the forecasted weather for your particular family vacation plans. Mobile Travel Charger: We took the Panasonic QE-AL201K Mobile Charger. This portable charger can charge two devices simultaneously and is perfect for charging your smart devices while on the cruise. The charger is small enough to stash in your day bag and will ensure your phone never runs out of battery when you need it most! Water Resistant Hiking Pants: My husband and I lived in our hiking pants during excursions. Go to a store like REI and find a pair you never want to take off. (my husband like the KUHL brand and I found a pair of Prana Brand). Poncho– We did not bring one but they provided them on our hike in Juneau where it rained. Hand Sanitizer: With all the illnesses that happen on cruise ships you want to be sure you take steps to keep you and your family safe. Our ship had these kiosks by the dining areas, but be sure to pack some with you as well. A Lanyard to hold your room key: While we were given these on Disney Cruise Line, HAL did not. I wish we brought ours. Your room key is also your credit card and needed to exit and enter to boat. If you don’t have pockets this is a pain. Plus the kids will be able to keep up with their keys if it is hanging from their neck. A Good Water resistant Backpack for excursions, great to carry your camera, waters, extra layers etc. GOOD CAMERA with zoom lens. Bathing Suit: If you plan on using the boat’s pool. On our final sea day, it was warm enough people were laying out on the decks. Ziplock Bags: to store wet clothes, your cell phone on excursions etc. Eyefi Mobile Card: It’s essential for travelers taking photographs on multiple devices allowing them to easily edit, share and save their photos from anywhere in the world on any WiFi connection. Trust me you will want to share all those amazing photos. Print this what to pack for a cruise free printable. 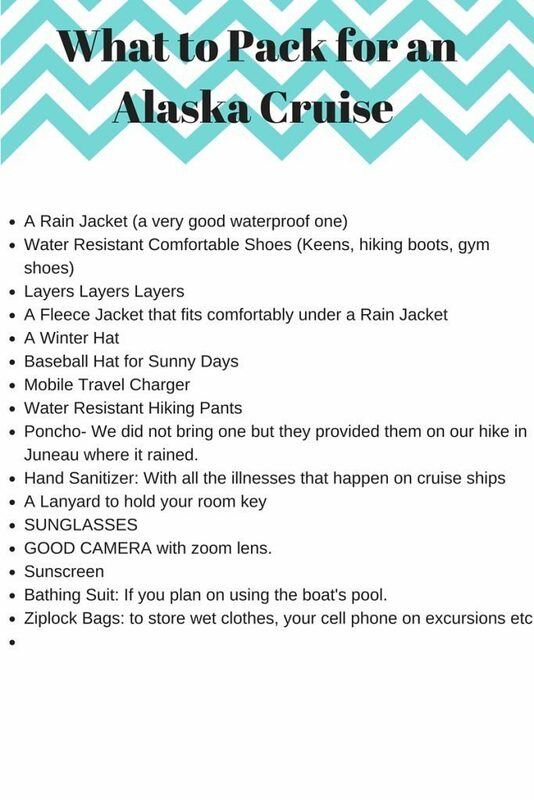 I hope this list of what to pack for a cruise helps you to manage better when packing for your upcoming Alaska cruise. With so many different weather changes in Alaskan travel, you will definitely need to consider that before finalizing your packing prior to departure. This is excellent information that I will be passing along to my mother. She is planning on taking an Alaskan cruise with some of her girlfriends. I cannot wait to go on one someday! Alaska is on out bucket list. I’m not a big fan of cruises, but I think one to Alaska would be wonderful. I will keep your tips in mind we finally get to go! I have never been on a cruise, so packing tips are great! 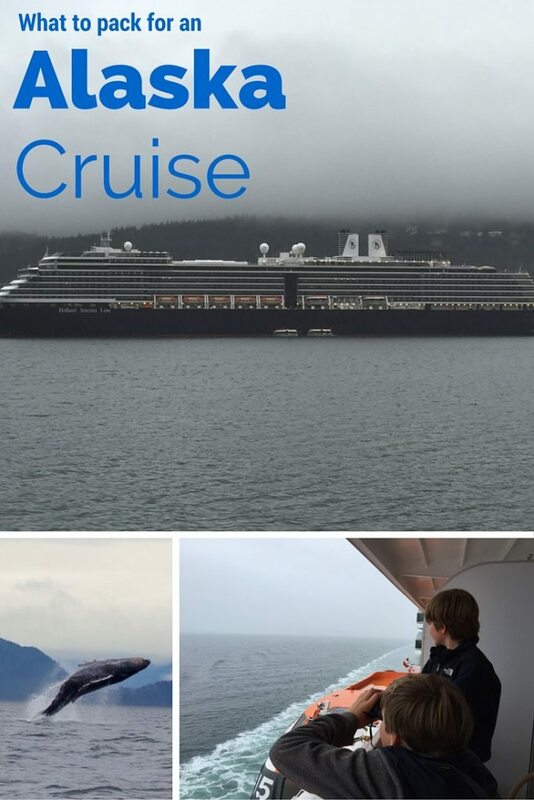 I think an Alaskan cruise would be a great one to start with for me!